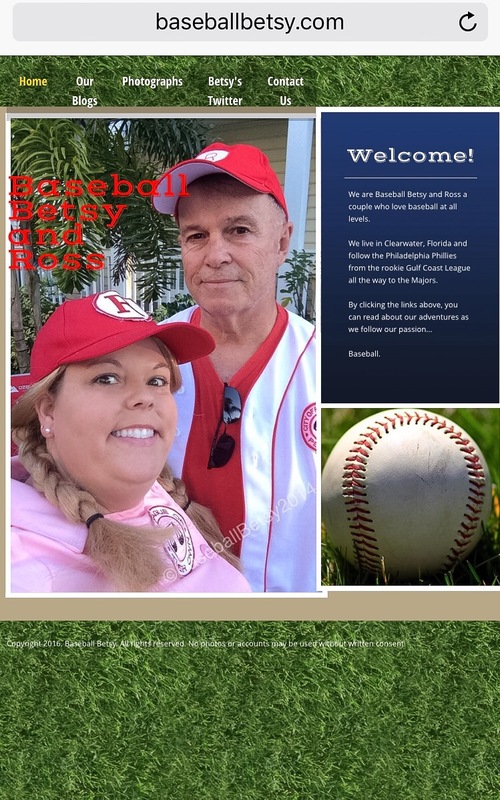 Today I undertook the monumental task of revamping the Baseballbetsy.com website! I added a few things…Namely ROSS! Right now, it’s a little on the sparse side and I lost my earliest blog posts that were hosted on iWeb…but it’s all good. I think you’ll like the improvements and if you want to leave any comments, please do! It’s getting close. Spring Training is coming. Both the Phillies and the Blue Jays have been working on their respective fields. Driving by the Carpenter Complex on US 19, it seems all work has been completed. You can see the grass, all green and pristine, just waiting for the players to report. The Jays fields, well that’s a different story. After Marcus Stroman’s injury due to tripping over a sprinkler head, the Jays did a complete overhaul of their fields. The main practice field at the Englebert complex was stripped down to the bare dirt, about six inches and dozens of truckloads of old field was carted away. Once that was done, a new irrigation system was installed and the field surface is being finished. Rumors of an observation tower being built next to this field are also being passed. The other fields also were revamped and local little leagues were no longer permitted off-season usage of the fields to keep them in pristine condition. (To be fair, the Jays renovated the little league fields and for one, added fencing to simulate the size of the Englebert fields.) The half-field next to the stadium has also been renovated and when I last looked, they were about to lay the new grass. It won’t be long until the “boys of summer” are back in town…and I can’t wait.